Are you ready for your world cruise? There’s a lot to remember when you’re going on the cruise of a lifetime, but some things are more important than others. Here’s a quick guide to the absolute essentials. Preparing for a world cruise is no easy task. There is so much to think about, plan and organise before you leave – and just when you think you’ve covered everything, something else crops up that you had completely forgotten about. For the last few months I have been planning for my very own world cruise adventure, so I’m going to share with you a small checklist of things you MUST remember before you leave. These are the absolute essentials and necessities. Get these wrong and it won’t be smooth sailing. It is incredibly important that you check – and double-check – which visas you may need for your world cruise. Your chosen cruise line will tell you which visas it believes it can issue on arrival (VOAs), but there will be some visas that you need to apply for in advance – and a few that could take months to process – so please allow yourself enough time to obtain the documents you need. As with any trip, you must ensure your passport is valid for at least six months after you arrive back in the UK. If it’s not, you could be denied boarding for the cruise. You also need to have at least seven blank pages in your passport; these are for your visas on arrival. If you take regular medication, please ensure you fill your prescriptions before you leave home and bring all of it with you. Take extra if you can! It will be impossible to obtain certain medications in some destinations and the ship is of course limited as to what it can carry and prescribe. Make sure you get everything in good time – and always put it in your hand luggage. Never pack it in your suitcases. It can be incredibly easy to overpack (I should know), but with some good preparation and a pre-cruise list (and bearing in mind that you will be doing laundry), you can keep things relatively organised. 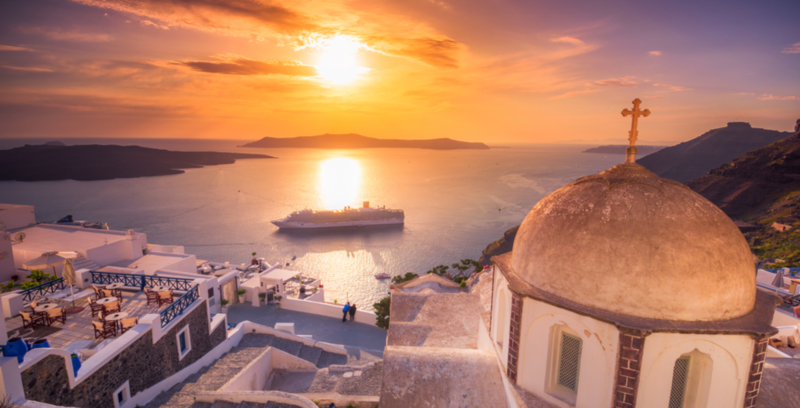 Your world cruise will likely be sailing you to tropical destinations where sun and sand are on the agenda, but there will also be destinations that require a little more clothing than shorts and flip-flops. Always pack at least two or three outfits for those destinations that could be a lot cooler than you might expect. Your cruise line will inform you of any mandatory vaccinations that you must have before you cruise, but even if there aren’t any, it’s still worth making an appointment at a travel clinic and getting some advice on any vaccinations that you should consider having as a precaution. I wasn’t required to have anything for my world cruise, but after speaking to an expert, I made the decision to have a yellow fever injection at my travel clinic for a cost of £58. It sounds expensive, but it lasts a lifetime and I’d rather be safe than sorry. I also had an updated tetanus injection. It is incredibly important that you have travel insurance for a world cruise, even though it could set you back several hundred pounds. Cruise-specific policies are an absolute MUST. Do not take out standard insurance; it has to be a tailor-made package for cruise holidays. Ensure you read the wording carefully and that everything you wish to have covered will be. I used Avanti for my world cruise policy because it offered optional add-ons that I required – such as higher coverage for tech equipment. One thing I realised – and quickly – is that it would be pointless trying to take all the currency with me that I would need for the trip. Instead, I made one large withdrawal from my bank and exchanged some of it for the currencies that I knew I’d spend the most of (US dollars, Australian dollars and New Zealand dollars). The rest I kept in British pounds. Once on board, I knew I could then exchange this for what I needed on the day – or I could take it ashore and exchange it there. Of course, I also had my credit card, but I didn’t want to rely on being able to use that in every port – and in many places, it’s simply not practical. Make sure you have more than enough cash with you in case your credit card fails or is lost or stolen. You don’t want to be left with nothing!